The New Year started on a good note for 56 horses that were found alive, but abused and starved on the Whispering Pines Ranch last fall near Susanville, CA, in the Northern Sierra Nevada Mountains. For the past five months I’ve followed the fate of these horses and the efforts of the nonprofit The Grace Foundation in El Dorado Hills to restore them to health and find suitable homes. 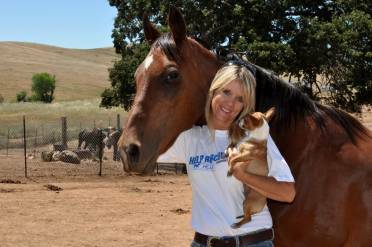 El Dorado Hills is near my home in Sacramento and my own family has a long history in horsemanship and stable operations. My brother’s family today is involved in horse ranching, including showing, training and caring for horses. The outlook for the horses rescued in Susanville, however, has been clouded by the bankruptcy courts, which looked into releasing the animals back to the man accused of nearly 70 felony counts of animal cruelty involving these horses, as well as possession of methamphetamine, marijuana and five firearms. The owner, Dwight A. Bennett, was arrested last October. 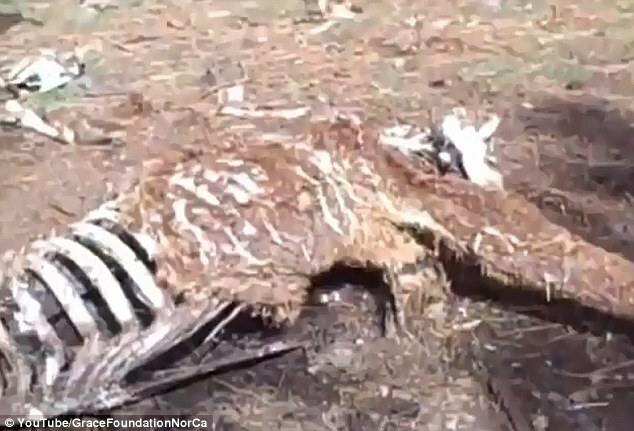 During his arrest, sheriff deputies found 28 dead and decomposing horses and three dead dogs on his Whispering Pines Ranch. While the federal bankruptcy court was determining the fate of the horses since Bennett claimed them as personal assets, he also was being arraigned in the Susanville courthouse on crimminal charges. He entered a plea of not guilty to animal abuse and drug possession and the case will now continue on February 7, 2012. For The Grace Foundation, the bankruptcy court ruling that allows it to take custody of the horses is bittersweet. The organization now faces the overwhelming cost for their care. 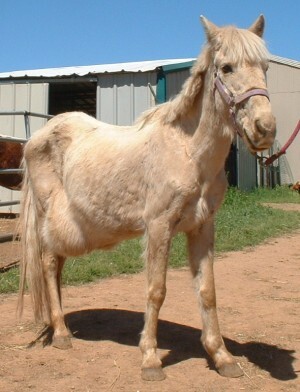 The ranch is currently home to more than 250 animals that have been abandonded, neglected or abused. “This case is sad for many reasons,” DeCaprio said. “These horses were allowed to cohabitate with stallions and three mares have already dropped foals.” Vet checks indicate 22 of the mares are pregnant. Bennett reportedly lost his home to foreclosure and was no longer financially capable of caring for the horses that were left to die. In these hard economic times, abandoned horses are being found throughout California, although not in such large numbers as was found at the ranch near Susanville. With the price of hay currently around $15 per bale and the Grace ranch going through at least 25 bales per day, that adds up to at least $375 a day for animal feed or $11,250 per month. And, due to the probability of high-risk deliveries and premature foals, all pregnant mares will remain at The Grace Foundation until after they deliver, and until it can be determined that both mare and foal are healthy and strong. Later, both mare and foal may be available for adoption together. Several people have already come forward to buy the horses from Whispering Pines. Now that the horses are no longer in temporary custody, The Grace Foundation will begin to assess these offers. “It is our greatest hope that the community will continue to come together and support Grace in our efforts to provide these horses with the best possible care,” said Executive Director and Founder, Beth DeCaprio. The Grace Foundation is a 501 (c) (3) non-profit and runs almost entirely by the hard work and dedication of volunteers. “It is only because of the help and support of our volunteers and donors, that The Grace Foundation is able to provide these horses, and all of the other animals at the ranch, with a chance at a new life,” said DeCaprio.